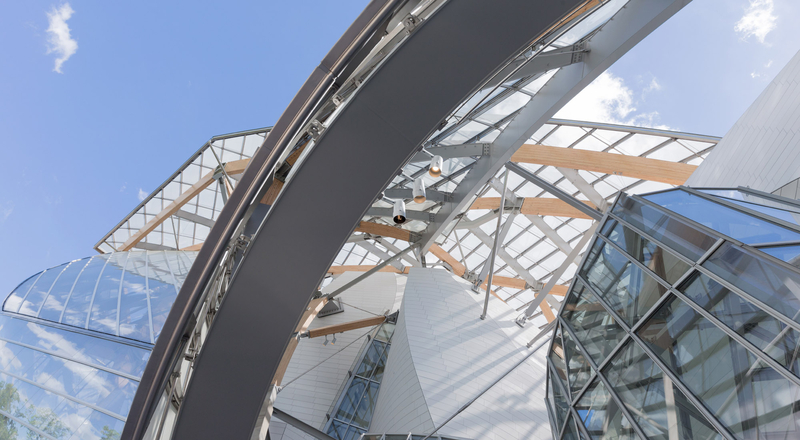 Frank Gehry has designed a building that, through its strength and singularity, represents the first artistic step on the part of the Fondation Louis Vuitton. This large vessel covered in twelve glass sails, set on a water garden created for the occasion, blends into the natural environment, amidst the wood and the garden, playing with light and mirror effects. 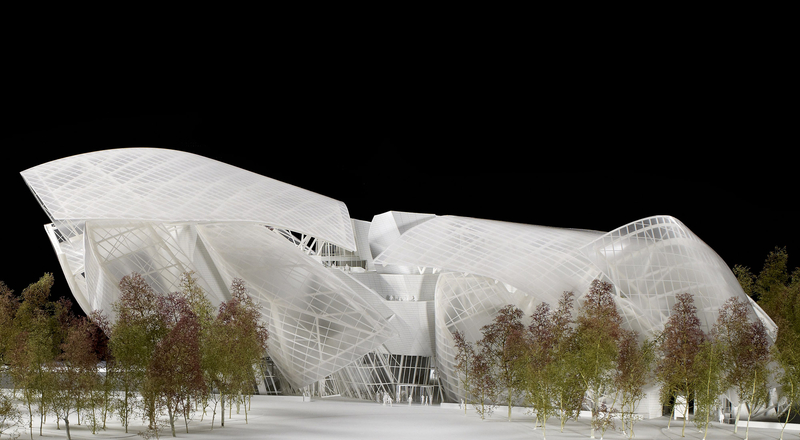 Frank Gehry’s creativity calls for constant technical innovation. 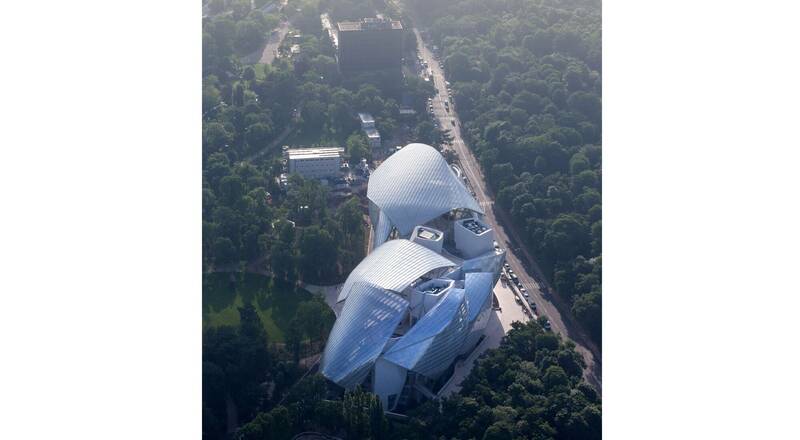 Both in the project’s very design and in undertaking the work, the Fondation Louis Vuitton venture has overturned the principles of architecture. The energy and originality of the architectural creation are expressed through the extremely complex shapes and volumes that required real technical and technological prowess to create. The glass roofs, the iceberg and the glass shells were formed using unique pieces, requiring the development of specific technologies for their production. The achievement of this project was awarded several engineering prizes in France and the United States. 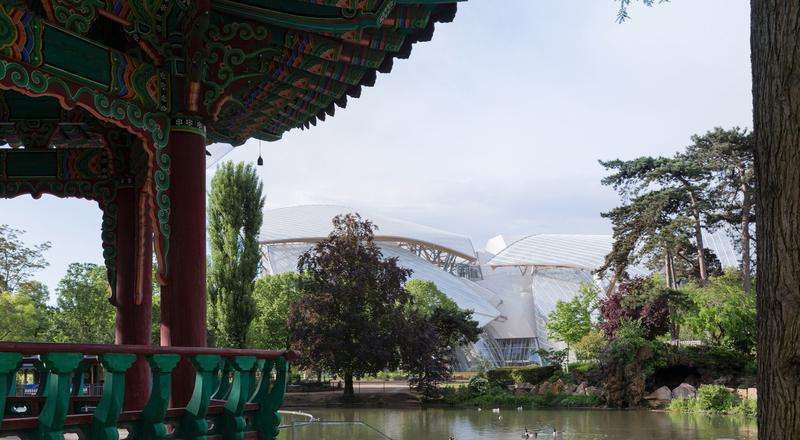 From the construction site to using the building, the Fondation has worked in a constant high environmental quality approach (HQE®). 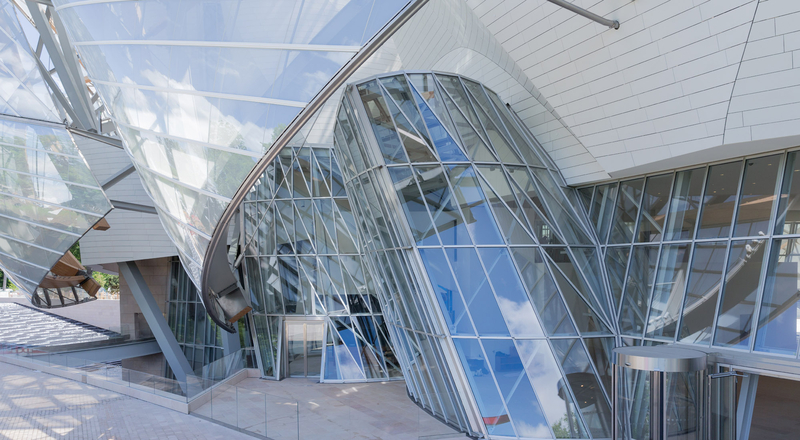 The Fondation Louis Vuitton project has adopted an exemplary environmental approach and was chosen as a pilot project for drawing up new HQE® guidelines dedicated to cultural buildings. Since the project’s launch, the concern to have a site with a low environmental impact has been placed at the heart of the approach. 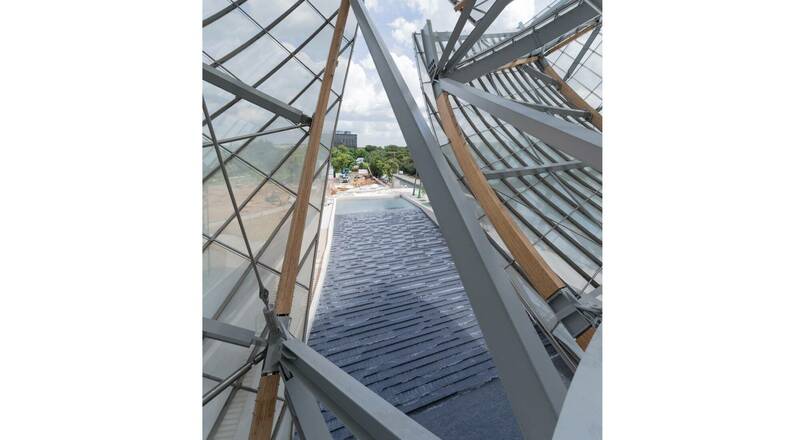 Inseparable from the image of its building and encompassing a large-scale artistic project, the Fondation Louis Vuitton looks to form an integral part of the Parisian landscape and become an international benchmark in the years following its inauguration.